Preparing porridge is an obligatory ritual that requires concentration and strength. It is also essential that the process is pleasant and brings pleasure and satisfaction. Then the result will bring even more delight. For those who do not have time to stand by the gas stove and cook, ready-made mixes are on the market, which you can prepare right on the beach. It’s enough to make a kneading on the bank of the pond. Now, what is better: a cooked meal prepared or a purchased one? That’s most likely a rhetorical question, and everyone decides it for himself. Naturally, to attract the prey out of its “den,” to awaken its appetite and to provoke it to bite it is almost impossible. 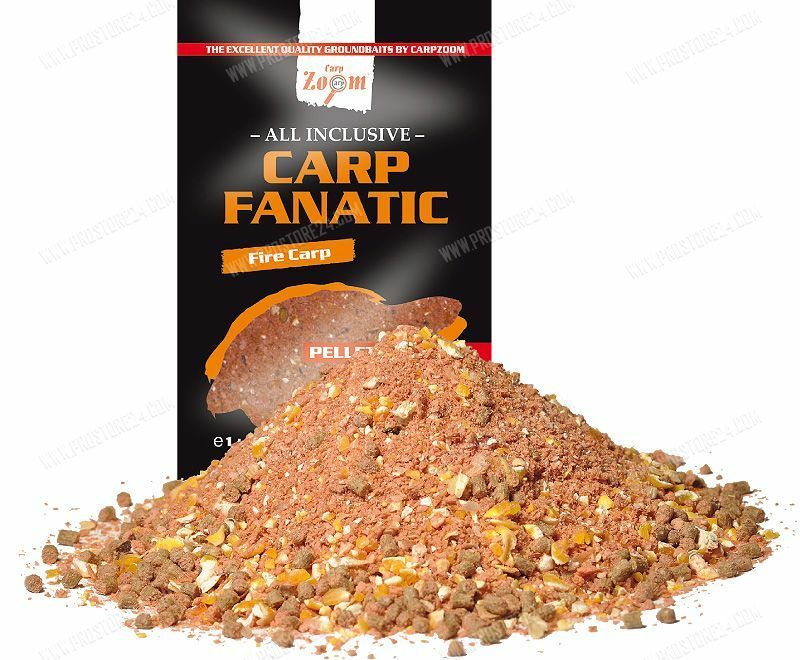 Carp Fishing Bait – Which is better, porridge (Homemade) or purchased? Conclusion: The best of both worlds in carp fishing lure. Shop bait is developed by scientists-ichthyologists together with anglers-athletes. They are tested on water ponds and only after positive results they go on sale. So, is the purchased one more effective? Not necessarily. Here, you need to understand what kind of mixture suits certain conditions. For example, for cold or warm water, fishing with or without flow. Also, experienced anglers necessarily take into account the density of the population in the pond, pressure, the number and characteristics of natural food and the other factors that affect the fish’s preferences. In general, without experience, it is not so easy to choose the correct lure correctly. On the other hand, ready-made meals require less preparation time, they have specific characteristics that facilitate the selection of the conditions of the feeding program. Whatever the case may be, many anglers prefer to cook porridge themselves. 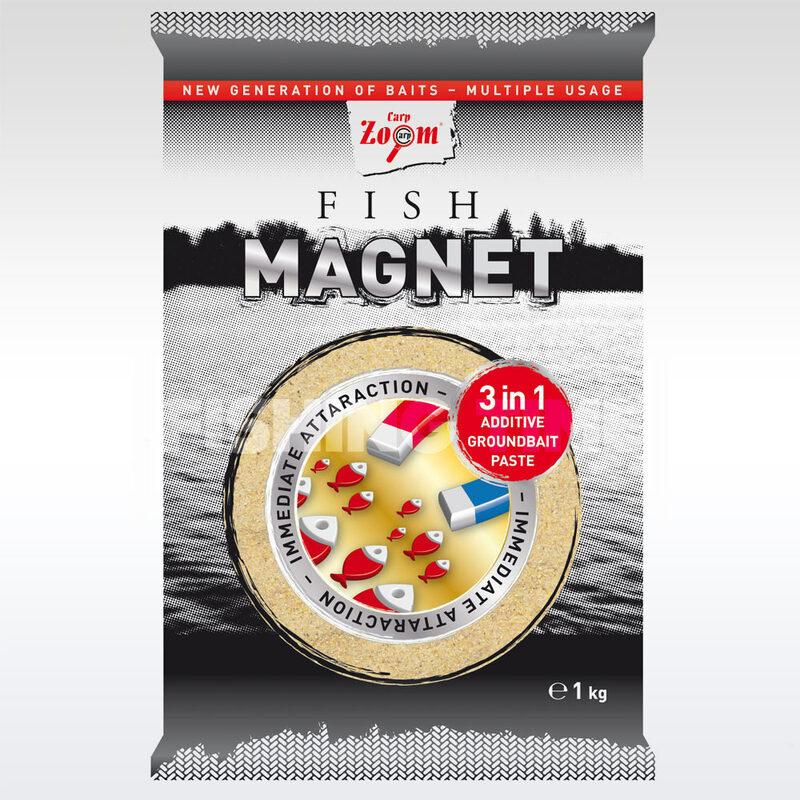 This approach has its advantages since homemade bait contains only natural ingredients with natural odours that do not scare them away, contrary to saturated with attractants purchased ones. Also, experienced anglers have their tested secret recipes for porridge and ways of preparing them. In favour of self-made feeding material, an important argument is their low cost in comparison with purchased one. Many beginners and also people with experience, use porridge with ready mixtures, that allows uniting the advantages of the two kinds of feeding. There is no answer to which one is more efficient. The most important thing is to offer the carp what it takes, according to its taste, and then the biting is guaranteed. We know that carp is not indifferent to potatoes. They are very fond of this root vegetable in a cooked form, so our grandfathers used it, placing it on hook cubes of boiled potatoes. Boil the potatoes and mash them, add the white of the egg, the press cake, a glass of ground seeds and ground dill seeds. Mix all and form apple-sized balls. Do not store in the refrigerator, because the taste and smell will disappear. Right on the beach, add a worm, sponge or bloodworm. Carp adore worms and larvae, also, in the balls they move intensively, creating an attractive noise. The next recipe’ advantage is that you store it in a dry place for a long time. On the shore, depending on the conditions, add water, clay, sand or soil to it. You can prepare the grated dry biscuits yourself, by drying the pre-cut pieces in the oven and then grind in a meat grinder. Then add the remaining ingredients and mix. Some anglers use pumpkin seeds instead of sunflower seeds. Also, to an attractive smell and taste, they can remove parasites from the body of the fish. Hercules and nuts contain irreplaceable amino acids, proteins, almost all vitamins and minerals. Therefore, they represent a high nutritional value. This porridge is useful in any condition. Ground peanuts – 5 to 6 pc. You can store it dry. However, you can steam the oat flakes and prepare a raw mixture. In any case, you need to add a matchbox of sponge, moth or chopped worm, and shape into tennis ball sizes. 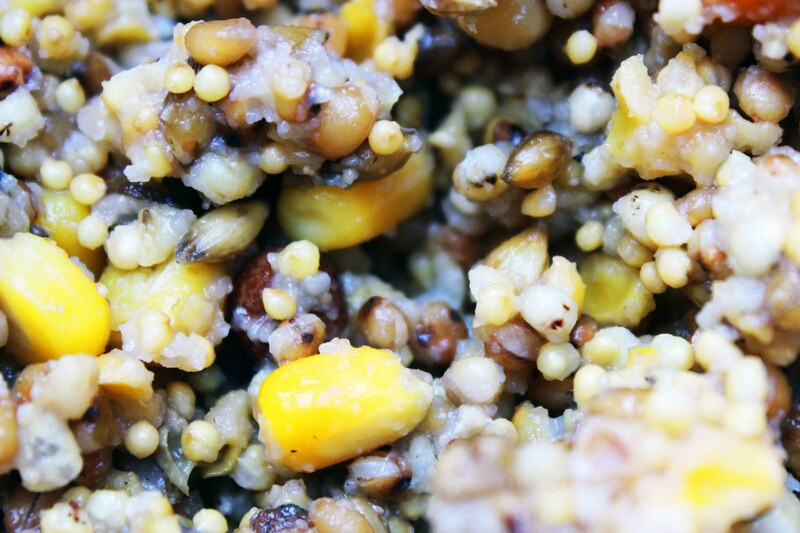 You can make many effective variations based on millet cereal for catching all kinds of “peaceful” fish. But the porridge consists of particular components because the moustached owner of the pond will not eat anything, because it is a real gourmet. Raw egg – 1 pc. Pre-cook the millet grains, let it cool and mix all the ingredients. If you fish on the river current, you can add a little semolina as a binder. Suitable for feeders and for shaping balls. Imagine that when you arrive at the pond, you find that you forgot the lure at home. Do not despair and do not panic. Just cut a piece of turf of about 15×15 cm, sprinkle or pour flavour and sprinkle 2-3 bundles of bloodworm, maggots or put a small worm on it. Wait until they sink into the turf. Then, it’s ready for use. It has all the necessary components to attract attention and to awaken its instinct of feeding. Modern feeding mixtures made with modern equipment based on avian fodder or meal with the addition of extruded cereals, flavourings, bite stimulants and much more. Their advantage is distinct, because after each mix fishermen-experts and ichthyologists worked, creating a perfectly balanced formula for nutrition. However, some manufacturers abuse synthetic dyes, flavouring agents with preservatives, which leads not only to chemical contamination of the pond but instead of attracting the fish, they scare it away. Therefore, it makes sense to buy a mixture from well-known manufacturers, well-established on the market. Carp Zoom is one of these companies. Its loose bait, pellets and boilies have repeatedly become winners and prizewinners of prestigious exhibitions, thanks to them famous anglers won international competitions. Also, these products are affordable, which makes it very popular both in Europe and in our countries. It is a highly effective range of mixtures in the cold and warm water, all-season mixes with fruit and fish aromas of varying degrees of solubility. 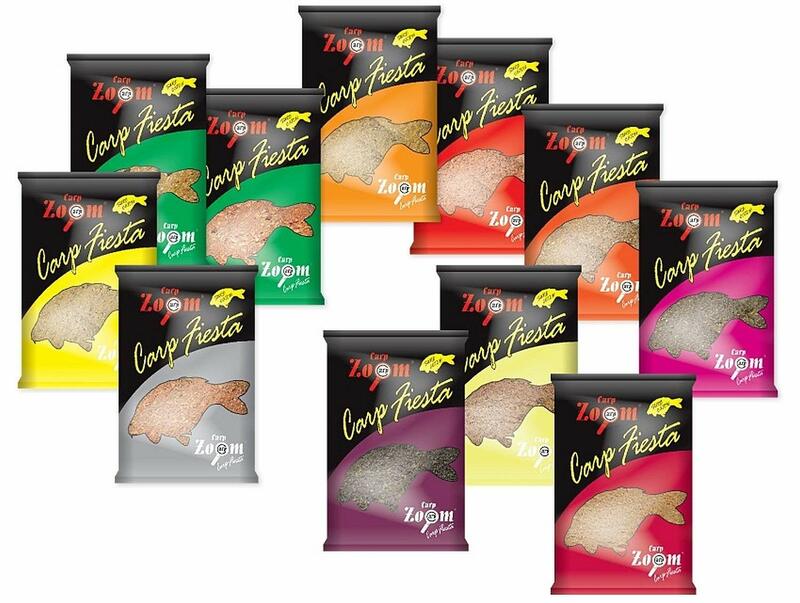 The Carp Zoom team experts worked on the creation of this line for several years, designed for carp fishing and feeders. Practice confirms the high catching capability of Carp Fiesta. It is also successfully used for catching the most diverse specimen of the Cyprinidae family. 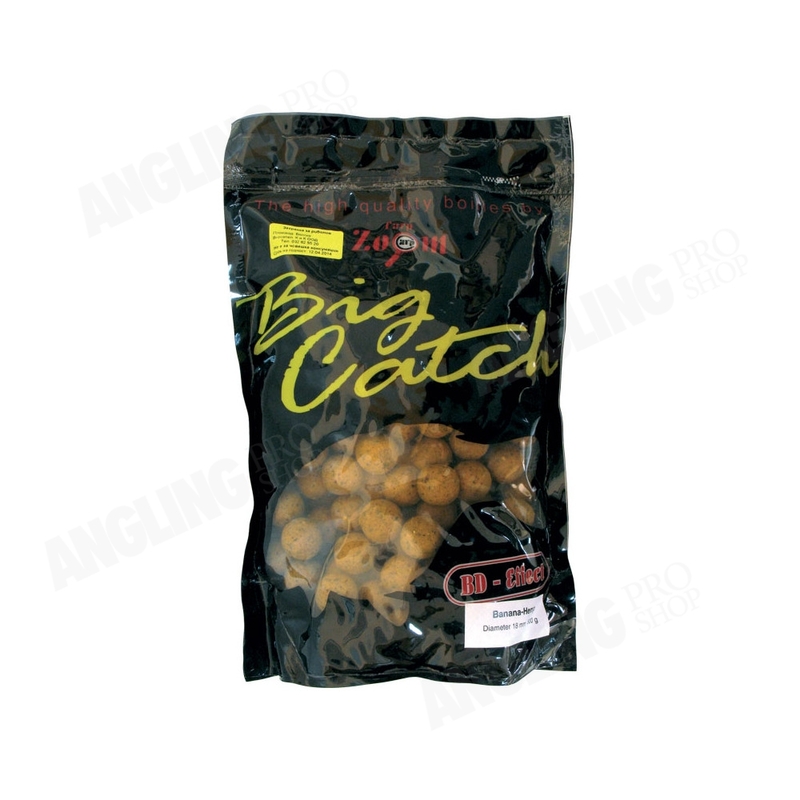 It is a range of high-performance and quality lure, consisting of natural ingredients. The mixtures contain a balanced formula of nutrition, derived by many years of experience of anglers and experts in the field of ichthyology. The line presents bait for cold and warm water, feeder gear, method and traditional carp fishing. Natural attractants are an influential attracting factor, and the presence of essential amino acids, vitamins and minerals keep the fish at the feed table for a long time. 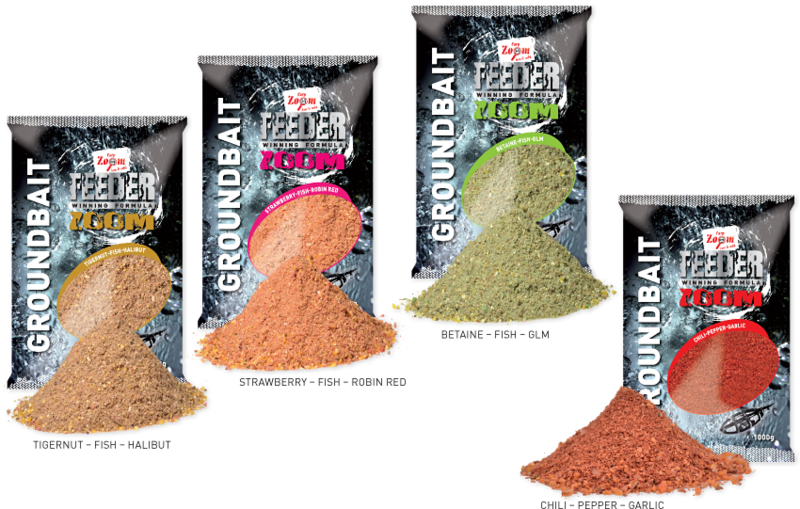 This revolutionary formula of mixture makes it possible to use it as bait, pasta or additive to other lures, including homemade porridge. Once in the water, the mix immediately begins to work, dissolving and creating a cloud of edible turbidity. Even a small ball effectively welds and holds the catch. It consists of quality, natural and proven components. Since its introduction on the market, it has enjoyed immense popularity among anglers and amateurs alike. In Europe, carp fishing is prevalent on the very bottom of the English fishing rod – the feeder. This tackle requires a slightly different approach and makes extraordinary demands. It is designed specifically for feeding with a feeder. And you can catch in lakes and rivers because the bait has enough viscosity to work for a long time. As a part of it – large and small fractions of extruded cereals, a complex of vitamins and minerals, amino acids, proteins necessary for the regular vital activity. In general, all those components that promise fast saturation. The Fanatic series is an innovative privatisation development. It is so useful that the company decided to release a specific line for the feeder. In addition to a unique formula and high food appeal, this is a mixture of free and granular fractions. The granules have positive buoyancy, so they float up slowly. After being saturated with water, they begin to sink slowly as well, creating a pillar of appetising particles over the bait table that they eat with pleasure. The combination of the classic and sporty approach to carp fishing. Therefore, it is difficult to determine what is more effective – porridge or the store-bought stuff. Each angler answers this question, giving arguments in favour of the choice. Anglers prefer to use industrial-made dips because they allow you to quickly attract the guys to the point of catching and keep them for a particular time. For an amateur, recreation is essential and enjoying the process itself. They have nowhere to rush so that you can experiment with porridge cooked with your own hands.